Friday evening, 9th October 2015. 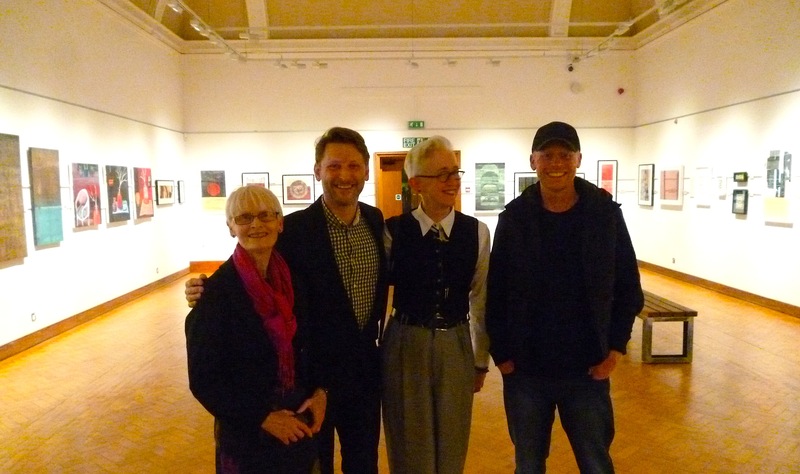 A vibrant exhibition of diverse contemporary art from across Sussex has opened at Worthing Museum and Art Gallery. Sussex Artbeat’s Worthing Correspondent wrote this review. 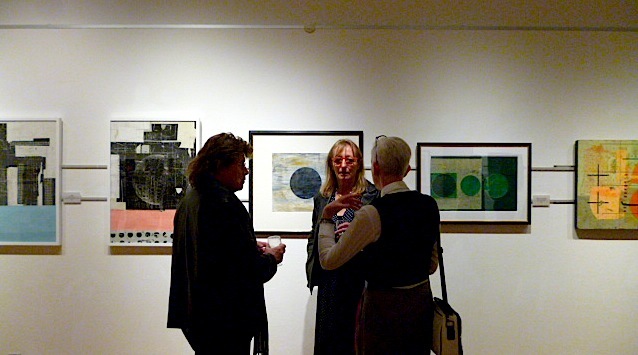 The exhibition, entitled SUSS6, Layers of Contemporary Art, is staged by six Sussex-based artists in the main art gallery at Worthing Museum. This large, traditional room will host the show until the end of January 2016. 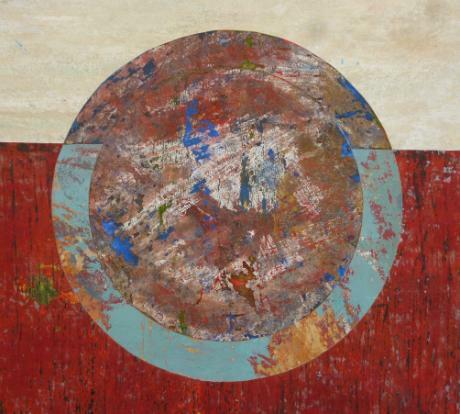 The exhibition showcases a range of techniques and mediums, and highlights connections and the flow of ideas that occurs naturally, between artists working within the same time frame. Museum curator, Emma Walder, said she was happy to present a contemporary show, and looked forward to an open submission show in 2016. 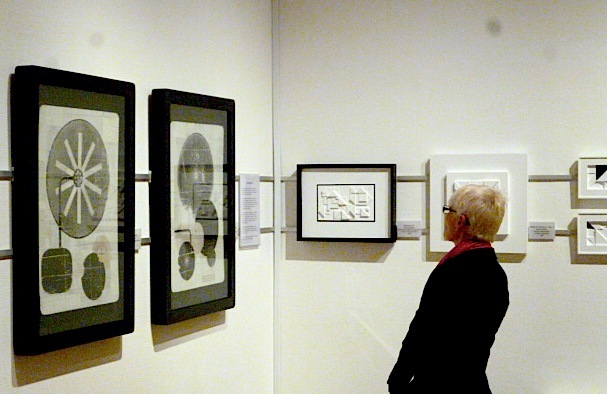 Emma commented on the challenges of displaying such differing works, but it was her favourite part of the job. And she has done a lovely job of it too, managing to blend and contrast works into a pleasing rhythm. On entering the room you are struck by the colours used by Alan James McLeod, at the far end of the gallery, which then leads your eye around to the use of colour by the other artists often very sparingly applied but linking the works, none the less. On one side there are intimate still lives by Sarah Marzaioli, given depth by rich colours and soft textural backgrounds. The theme of texture is dominant throughout the show, particularly in the starkly abstract works of George Antoni. 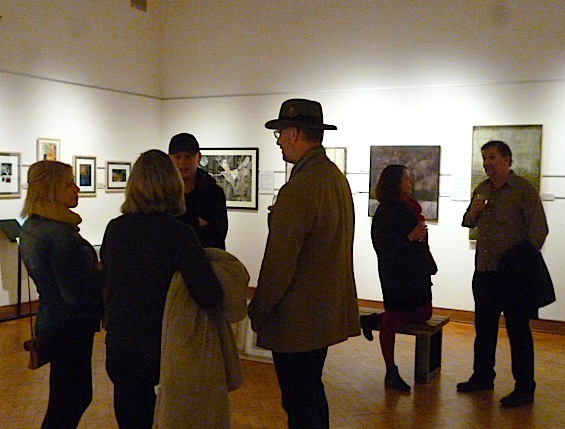 It may not seem an obvious choice to put them next to the lyrical and poetic collage paintings of Sue Barnes, which is what makes this show worth viewing. Then balancing the colours and textures between George’s work and Sarah’s larger, atmospheric canvases, illustrates that many artists, no matter how different there work may be, are striving for the same goals. The other side of the room, shows a more graphic design based style from Mark Charlton, who produced pieces specifically for this show, using multi-layered collage and screen printing. Rhoda K Baker also uses multiple layers of paper and card, but in a totally different way, creating paperscapes that are sometimes painted afterwards to make them more robust and uniform on the surface, or left to show the beauty of the materials used. This entry was posted on October 12, 2015 by braveadmin in West Sussex (inc Chichester), worthing museum and art gallery and tagged art, museum, SUSS6, Worthing.